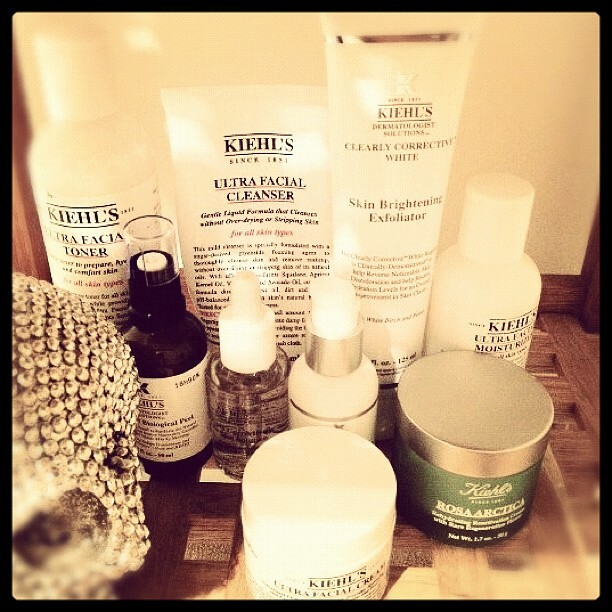 We’ve teamed up with our friends at Kiehl’s for a whole month of amazing giveaways. Find find out if you’re the lucky winner of the first luxury $500 hamper. This Christmas we’ve joined forces with luxe skin care brand Kiehl ’s for a festive collaboration that celebrates the best of fashion and beauty – all in the name of giving back to our valued customers. Rugging up in layers of clothing and scorching bodies beside heaters are essential in the daily quest against fighting the chill on a winter’s day. The downside to these warm comforts, is that such rituals wreck havoc on our poor skin. Winter has an unfailing ability to strip our body of moisture and leave us fighting a skin cold war with chapped lips, dry skin and cracked hands. With the right products, such winter nasties can mostly be avoided, so we thought we’d let you in on a few of our secrets. Kiehl’s simple and unfussy products have long been a favourite of ours here at Superette, and so lately we’ve been leaving things in the hands of a few of their experts. 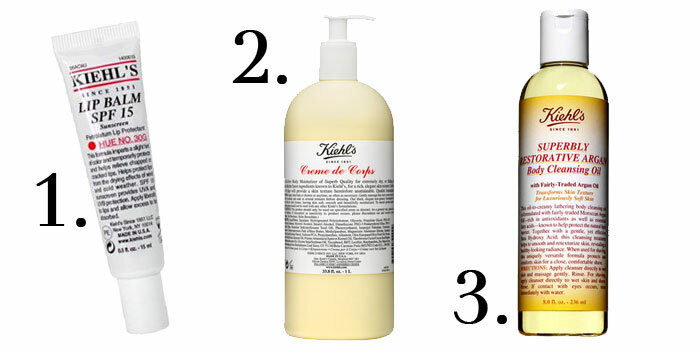 Take a look at the three products that are our saving grace right now. 1. Chapped lips will meet their match with the cult favourite Kiehl’s No. 1 Lip Balm. Protecting from the drying effects of wind and cold, we simply won’t go anywhere without it. The moisturising balm has a glossy finish and comes in a number of subtle colours. Our current favourite is No.30G…a sheer glossy red that is sure to brighten up any dreary winter’s day. 2. Possibly the best body moisturiser in the world, the infamous Kiehl’s Creme de Corps is a daily lifesaver. The luxurious cream hydrates even the most parched skin and leaves it super soft and smooth. It’s rather addictive, so it’s lucky it comes in big bottles too. 3. Over winter it is crucial to rehydrate and replenish skin at any chance you get, and there is no better weapon to fight dry skin than using Argan Oil. We love Kiehl’s Superbly Restorative Argan Body Cleansing Oil during these days of bitter cold. The Argan Oil is combined with a myriad of antioxidents and fatty acids that leave your skin super hydrated, silky and radiant. And for the boys, this one is a perfect substitute to shaving cream – protecting your skin and giving a faultless close shave.